Main trailer for added for movie “Swing Kids” starring Do Kyung-Soo and Park Hye-Soo. Movie is written and directed by Kang Hyung-Chul. Story for “Swing Kids” is set during the Korean War and is set in POW camp. A young North Korean man played by Do Kyung-Soo takes an interest in tap dance there. “Swing Kids” will be released December 19, 2018 in South Korea. Main trailer and poster added for thriller film “Door Lock” starring Kong Hyo-Jin, Kim Ye-Won and Kim Sung-Oh. Movie is directed by Lee Kwon (*Attack on the Pin-Up Boys“). In addition, release date is now set for December 5, 2018 in South Korea. Teaser poster added for upcoming film “The Drug King” (English title) starring Song Kang-Ho, Cho Jung-Seok and Bae Doo-Na. 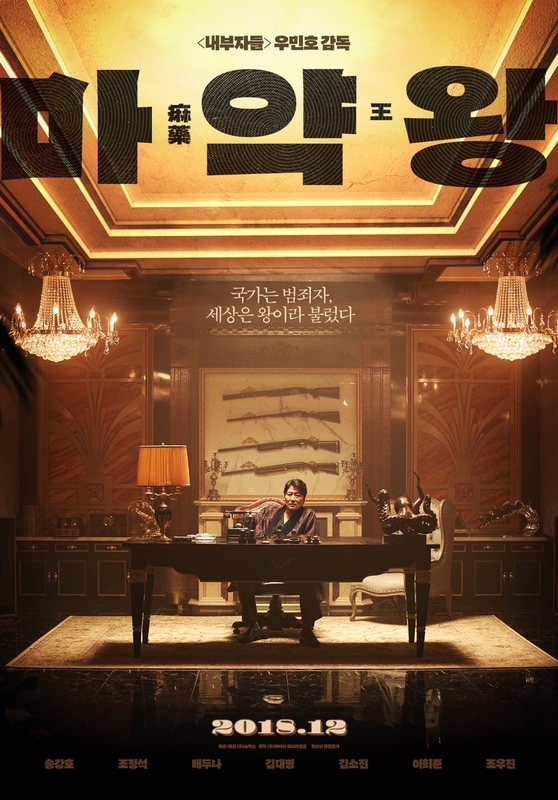 The teaser poster features Lee Doo-Sam (Song Kang-Ho) sitting behind a desk. 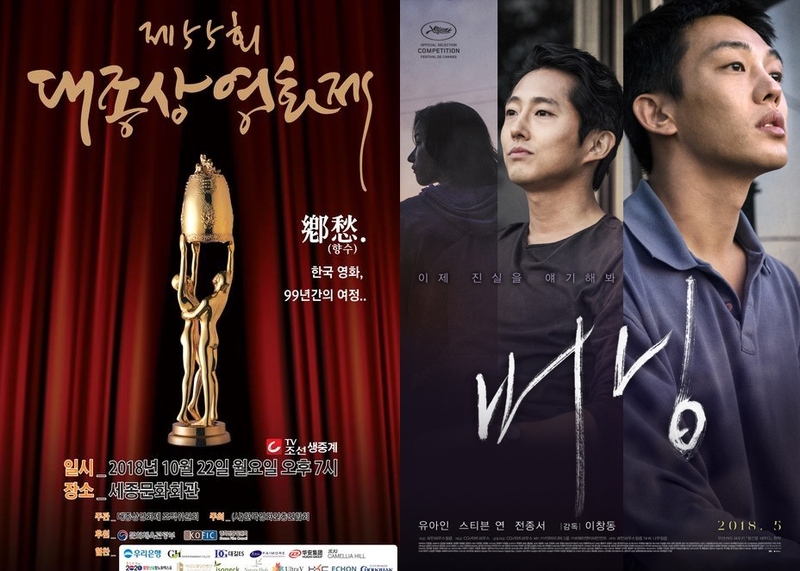 Caption on the poster states in Korean “The nation called him a criminal, the world called him a King.” Movie is scripted and directed byWoo Min-Ho (“Inside Men“). “The Drug King” will be released sometime this December in South Korea. 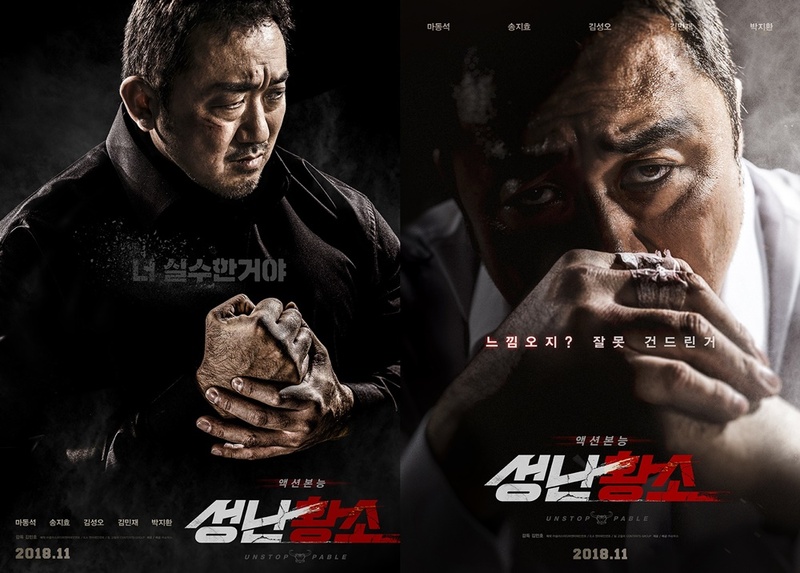 Teaser trailer and two teaser posters for movie “Take Point” starring Ha Jung-Woo and Lee Sun-Kyun. 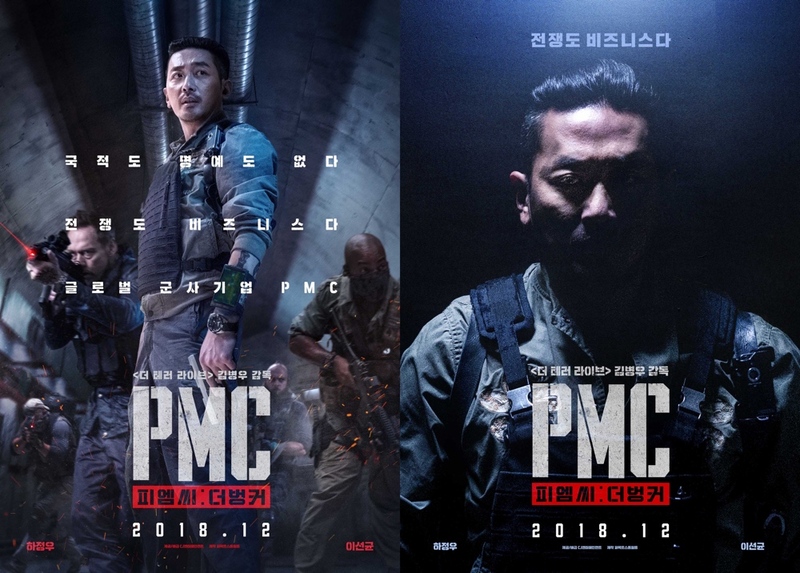 The film follows a PMC (private military company) led by Ha Jung-Woo’s character as they are hired by the CIA to enter an underground bunker along the DMZ. Lee Sun-Kyun plays a kidnapped doctor. Movie is directed by Kim Byung-Woo (“The Terror Live“). “Take Point” will be released December, 2018 in South Korea. Main trailer and main posters added for upcoming movie “Unstoppable” starring Ma Dong-Seok, Song Ji-Hyo and Kim Sung-Oh. The film revolves revolves around reformed gangster Dong-Chul (Ma Dong-Seok) as he sets out to get back his kidnapped wife (Song Ji-Hyo). “Unstoppable” is now set for release November 22, 2018 in South Korea. First teaser trailer for JTBC drama series “Clean With Passion For Now” (literal title) starring Kim You-Jung and Yoon Gyun-Sang. The drama series is based on webcomic “Ildan Ddeugeobge Chungsohara” by Aaengo. “Clean With Passion For Now” was originally scheduled to air at the beginning of this year, but was delayed after Kim You-Jung was diagnosed with hypothyroidism. Now that she has received treatment, “Clean With Passion For Now” will first air November 26, 2018 in South Korea. Meanwhile, below is the first still images of Song Jae-Rim in the drama series. In the drama series, Song Jae-Rim plays Choi-gun. Choi-gun is an original character in the drama series and does not appear in the original webcomic. Choi-gun is a mysterious chap and nobody knows his full name or his actual job. He bickers with Gil O-Sol (Kim You-Jung), but he begins to support Gil O-Sol. “Feel Good To Die” first airs November 7, 2018 in South Korea. 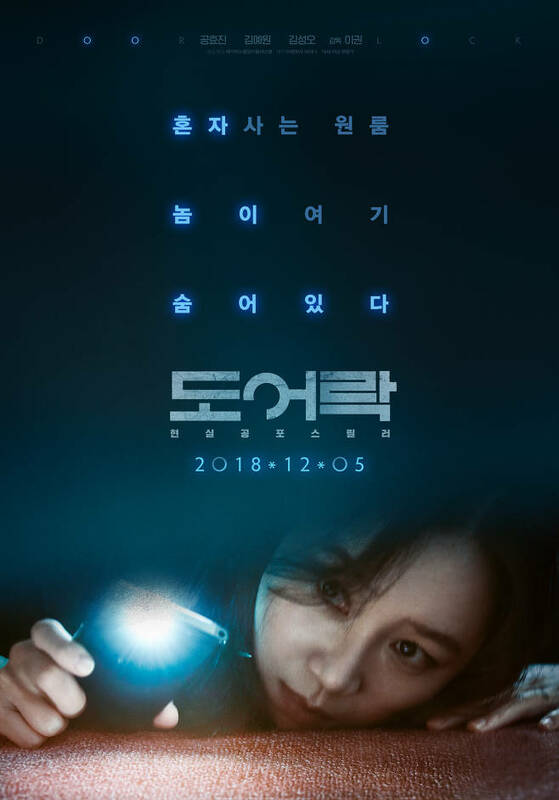 “Door Lock” will be released sometime this December in South Korea. Two teaser trailers added for movie “Swing Kids” starring Do Kyung-Soo and Park Hye-Soo. The two teaser trailers consists of a “Swing” version and a “Rhythm” version. The film is set during the Korean War period and at a POW camp. Do Kyung-Soo plays a North Korean male at the POW camp who falls in love with tap dancing. The film is directed by Kang Hyung-Chul (“Scandal Makers“/”Sunny“).